The past is past. I've accepted the fact that it can't be changed. No matter how much it hurts me. All I can do is move on with life. So, for the people that walked out on me... Thank you. 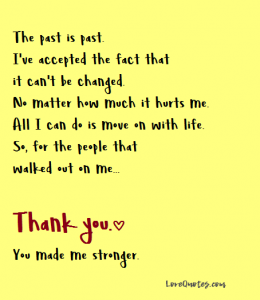 You made me stronger.